Nothing beats the sight and scent of traditional English climbing roses dripping from an archway! Producing a fabulous fragrance wafting on the breeze, especially on warm days. Perfect for climbing up to 2m up trellises, arches, walls or fences. These bare root roses will produce their first displays this summer. 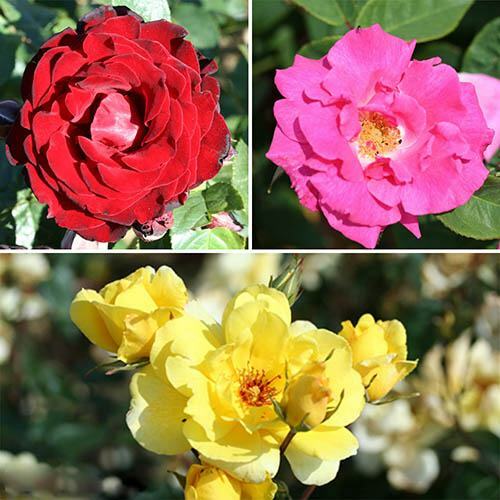 Varieties Included: Dublin Bay, Golden Showers and Zepherine Drouhin. Supplied as freshly lifted, British grown bare-root bushes, ready to plant now. Fully winter hardy.